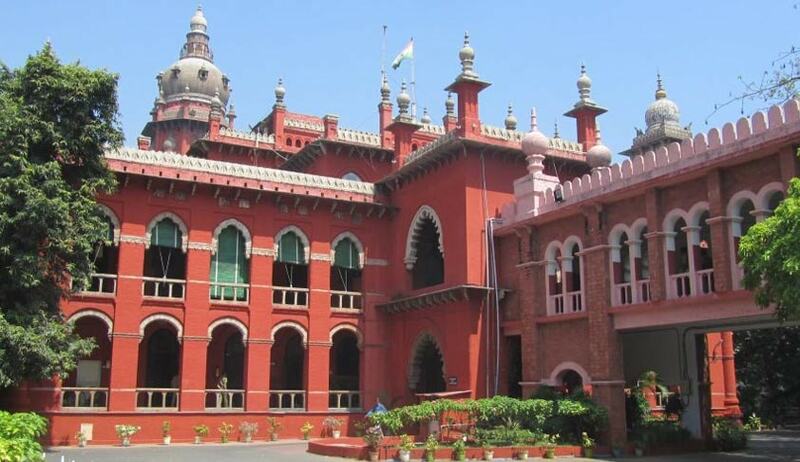 In a recent Judgment the Madurai Bench of Madras High Court has directed the Registrar (Administration) to immediately circulate instructions to all Print, Electronic and Media Houses not to publish the names of the Lawyers appeared in the Case, as part of news item. The Bench also directed the Registrar (Administration) to request the Print, Electronic and Media House, not to publish the individual names of the Judges unless it is so essentially required. The Bench comprising of Justices Nooty Ramamohana Rao and S.S. Sundar observed that it has been noticing that the Print and Electronic Media is carrying on publication of the names of legal practitioners as well as the names of the Judges of the High Court concerned, who dealt with particular cases, publication of names of practitioners who may have appeared for one party or the other in a particular case can lead to an indirect method of soliciting or indulging in advertisement of the professional abilities or skills of the advocates. “The reason being every Judge of the High Court is carrying on with his work sitting in a particular division/roster as assigned by My Lord The Hon'ble Chief Justice. The Judges do perform their duties dispassionately and to the extent possible by not allowing their individual notions and philosophies to be a guiding factor in deciding the causes brought before them. Therefore, we feel that the names of the Judges should not be published and on the other hand, the name of the High Court alone should be published”. The Bench has also directed the Registrar (Administration) to place this matter before the Chief Justice of Madras High Court, so that appropriate instructions can be issued in this regard the Chief Justice. The Bench was hearing a Public Interest Litigation filed by a Lawyer seeking direction to adequately compensate the innocent children who have been affected by the illegal registration of the First Information Report in Crime No.81 of 2016 relating to an incident allegedly occured on 05.08.2016 in some remote rural area of the State. A complaint was lodged by one of the victims' parents on 06.08.2016 based on which the Police have registered promptly and have also taken up the matter for investigation. Some of the newspapers also carried a news item, on 07.08.2016. According to the Bench, the news reports inspired the writ petitioner-lawyer to file this writ petition. The Bench observed that if a practitioner of law is seeking to use the platform of High Court for purposes of gaining popularity and publicity, so that he will be able to attract more number of clients, if not the alleged victims themselves in this case, it would amount to an unethical practice of soliciting work on one's part. The Bench added that once the Code of Conduct is prescribed by the Bar Council of India to be always adhered to and followed by every practitioner of law, any attempt to overreach the situation and also to breach it, even in an indirect manner, as has been done in the present case, it must attract necessary corrective action. The Bench has directed the Registrar (Judicial) to place a copy of the affidavit filed by the writ petitioner in this case before the Bar Council of Tamil Nadu and Puducherry for initiating necessary action for the breach of Code of Ethics and professional conduct by the writ petitioner. The High Court also reminded the State Government to put in place a policy decision to ensure that the Print and Electronic Media does not while reporting instances of similar nature from furnishing any details which are capable of enabling the readers or general public to come to know of the identity of either the victims or those juveniles who are in conflict with law. We hope and trust necessary decision would be taken at the earliest, preferably, within the next thirty days and the same will be adhered to by the Print and Electronic Media, henceforth. It is also suggested that it shall also be open to the State/Police to take up the matter with the concerned, including Press Council of India, for the reports which have appeared in a section of the press which is likely to lead anyone to clearly identify the victims or the alleged juveniles who are in conflict with law.